Usage/Application Industrial Trowels , Spike Rollers, & Heavy Duty Mixers Etc. Our rich industrial experience supports us in offering a wide range of Epoxy Flooring Service. Our provided epoxy flooring is done by making use of premium quality tools and contemporary technology. 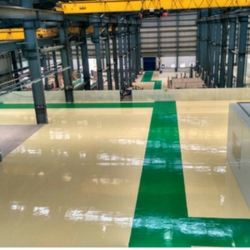 Our offered epoxy flooring is highly demanded various application areas and also owing to its several quality attributes. Our customers can take this epoxy flooring from us at nominal rates. 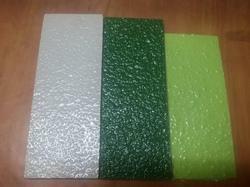 Type Industrial Granular Epoxy flooring. Brand Dr. Beck , CIPY Etc. Usage/Application Food , Pharma, Warehouse , Stores ,Beverage Etc. We provide an innovative range of Granular Epoxy Floorings. 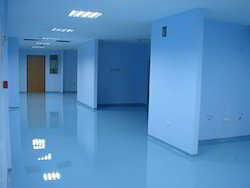 Our regarded customers can profit quality-guaranteed pu Epoxy Flooring administrations from us. 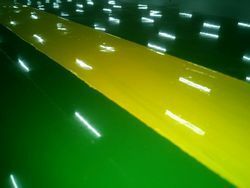 pu Epoxy Flooring (epoxy floor covering) can be connected over various materials, including steel, cement, and wood. In any case, cement is the best surface for laying epoxy floors. Epoxy floor covering execution is straightforwardly influenced by surface readiness. The trustworthiness and the administration life will be diminished altogether if the surface is dishonorably arranged. Antislip , Antiskid Epoxy flooring coatings useful for Heavy Wash Areas or Slippery Industrial floors etc. Color any,wide range of colours available . / PU flooring installation available in different colors and texture are durable, seamless, keeping the surfaces free from dirt, dust. Because it is jointless,hygienic,easy to clean, this flooring is ideal for warehouses ,refrigerated warehouses,food, beverage,cold storages and pharmaceutical and packaging plants. Epoxy/ PU Flooring are a chemically resistant flooring option for manufacturing plants, warehouses, and industrial plants that can improve safety by creating a slip, impact, heat, and fire resistant flooring solution. Looking for Industrial Epoxy flooring ?